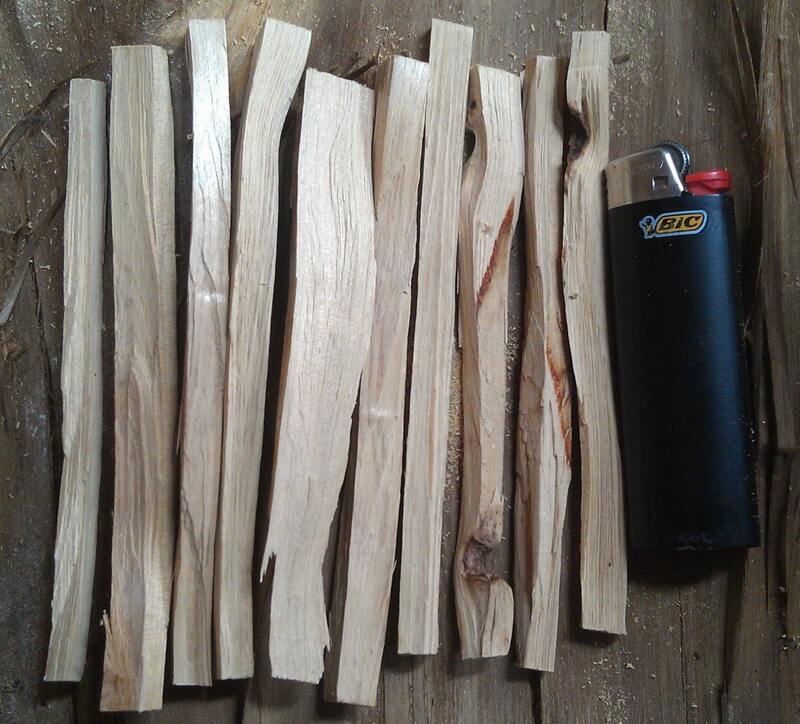 High quality Alligator Juniper(Juniperus Deppeana) sticks from southern Arizona, hand harvested by me with only a hand saw, and split with only hand tools. 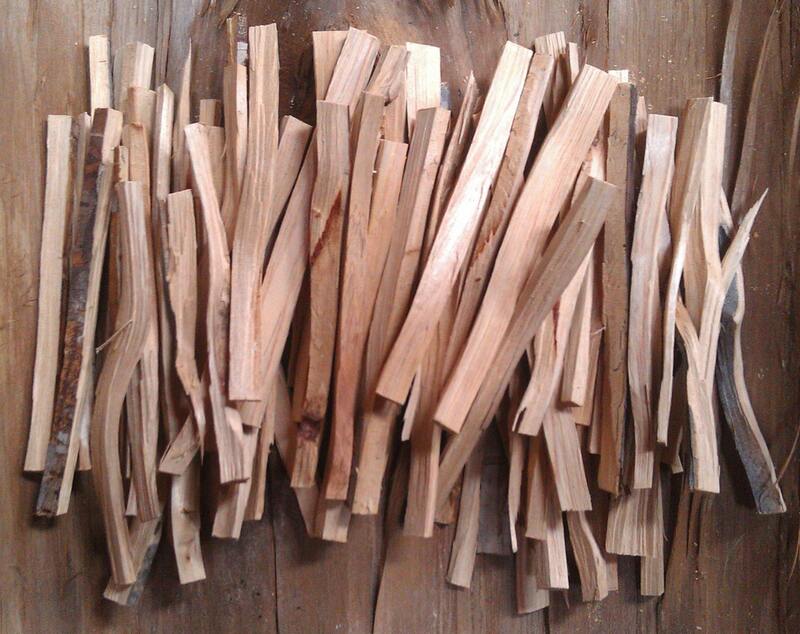 These Juniper heartwood pieces are extremely aromatic, with a rich dry woody smell, warm, resinous, and sweet like a desert rain. It's best to heat the juniper pieces rather than burn it, as the fragrance comes out when smoldering and not lit on fire. You can light it momentarily and blow it out multiple times to get a good scent with a lighter or candle, or place a small piece on an incense charcoal or incense heater. These Pieces of Juniper smell amazing and are hand harvested by me in the mountains of southern Arizona at 6000 ft elevation, just a few miles from mexico. They are completely sustainable because it is the already naturally dead branches. No trees were harmed in the making of this incense. When I first smelled this amazing aromatic heartwood of juniper, I wanted to get some to offer along side my other incense woods. So I went up on the mountain and harvested wood from trees that were freshly ripped up and thrown aside from expansion of the dirt road, as well as one branch that had died naturally. These trees were still living but uprooted and going to die soon, so I cup them up, brought the wood home and cured it for a year. When I split a piece to burn for incense it smelled smoky and only had a very faint juniper smell. What I realized then, was that like Palo Santo this wood needs to die of natural causes to reach its full potential as incense. So I went back to the mountains of southern Arizona and harvested just the already dead branches. 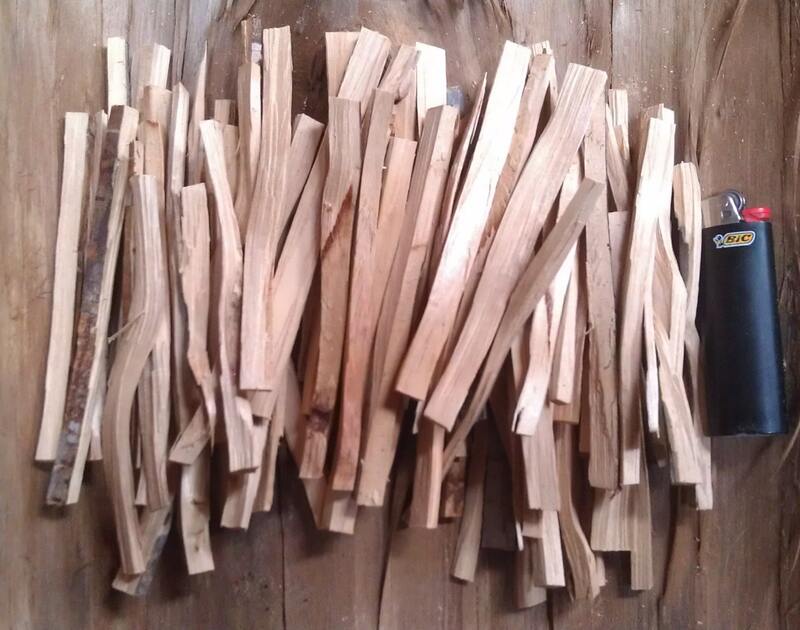 Then I brought them home, hand sawed the pieces to length, removed all of the outer sapwood to get them down to pure heartwood, and hand split every piece. They are extremely fragrant and smell just wonderful. Great for aromatherapy. 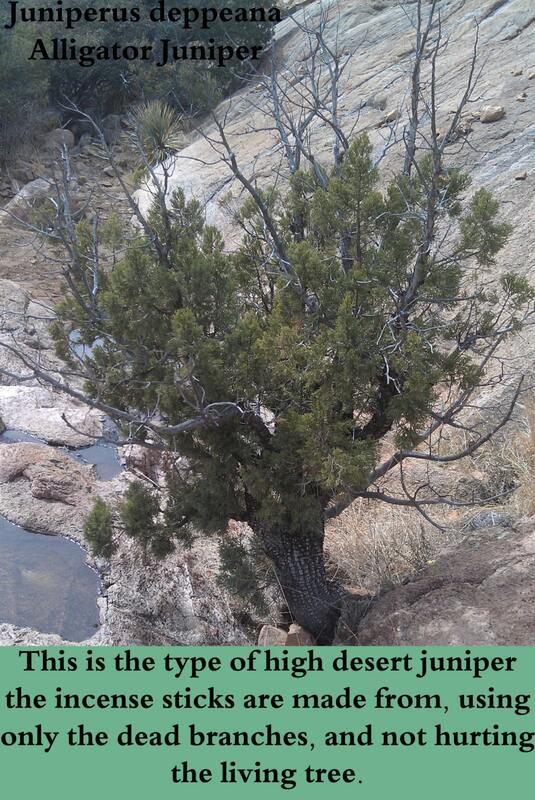 This is the densest Juniper I have ever seen. The trees are naturally dwarfed by the intense Arizona climate, lots of direct sun and an average annual rainfall of just 18 inches, not to mention the 6000 ft elevation mountains they're growing in. These are, as always, in limited quantities until next year. These were brought back to Oregon from Arizona.